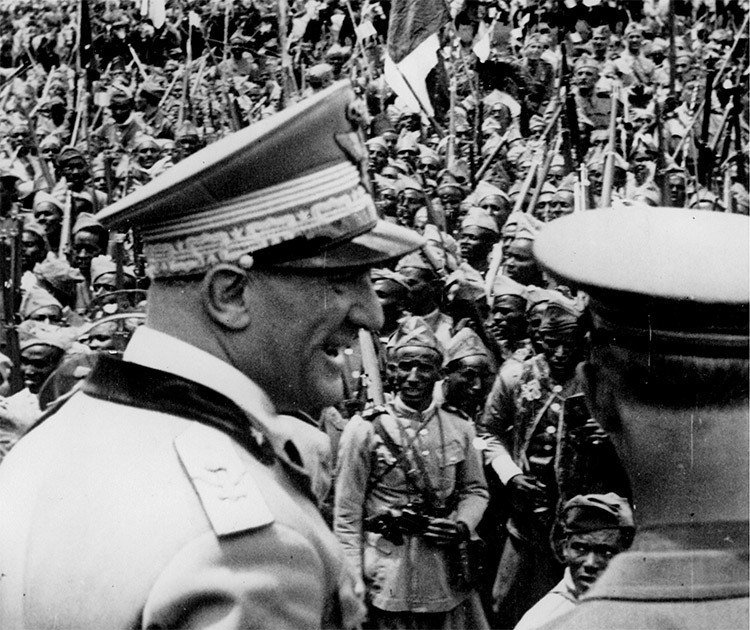 Italy's conquest of Addis Ababa was hailed an imperial triumph by Mussolini, though most Ethiopians had only bows and arrows with which to defend themselves. ‘The horror, the horror.’ Kurtz’s last words in Joseph Conrad’s Heart of Darkness (1899) are seared into the memory of those who give serious consideration to European imperialism. 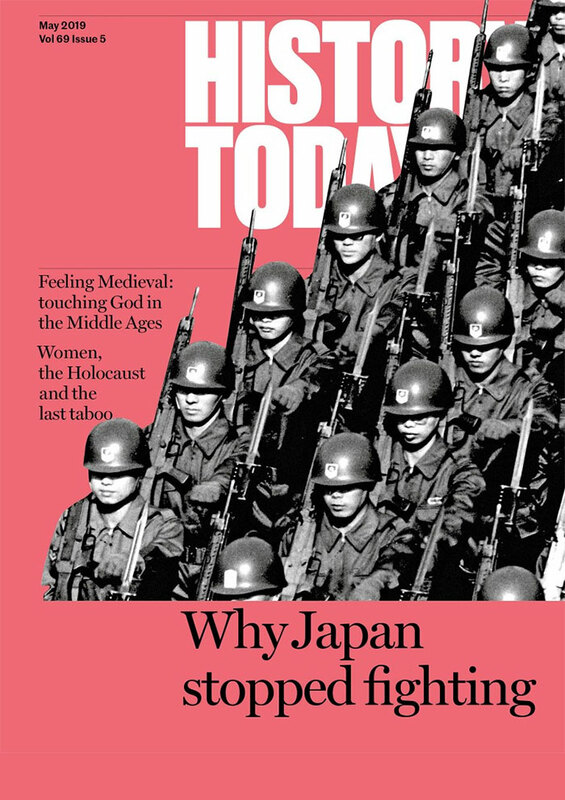 In Ian Campbell’s graphic and detailed monograph they find even greater depth when the imperialism was Fascist. By Campbell’s estimate, about 19,000 men, women and children were murdered in Addis Ababa in three days of mayhem from 19-21 February 1937. Some were shot or hanged, others burned to death when their huts were set on fire, and some were beaten to death with clubs, shovels or pitchforks. Yet more were drowned, by being dropped down wells or thrown into the river. The perpetrators were Fascist militia, Fascist-approved immigrant civilians, Libyans and other colonial troops (askari). With some reluctance, ordinary Italian soldiers and carabinieri joined in, too. The occasion for the massacre was the throwing of grenades into a crowd that was being offered alms. It had been addressed by the Italian viceroy, Rodolfo Graziani, who was wounded in the attack and carried, unconscious, to hospital. In exile in London, Emperor Haile Selassie had encouraged such Ethiopian ‘resistance’ to Fascist rule. Almost immediately after the grenades detonated, Italian forces, in a moment of mutual terror, fired into the crowd. However, by the afternoon, local Fascist party boss, Guido Cortese, a young colonialist intellectual rather than a thug, had issued his followers with a carte blanche to do what they liked in the city. After all, Graziani and many other Italian colonisers had spoken with approval of a ‘Roman’ policy of fire and sword in dealing with indigenous people, whether in Libya or in Ethiopia. Then, in June 1936, just after Italian armies had entered the Ethiopian capital, Mussolini ordered his viceroy that ‘all rebels taken prisoner to be shot’. Even after Graziani, speaking from his hospital bed, urged the end of hostilities on 21 February, the killing continued in outlying settlements and among prisoners confined in short-term camps, who lacked supplies of food and water. According to Campbell, it was fatal for Ethiopians to reveal formal education or upper-class descent, as was demonstrated not long after, on 21 May, with the assault on the monastery of Debre Libanos. Ethiopia’s Fascist masters aimed to liquidate native intellectuals and any sites or texts that might be deemed to carry a rival history. In 1946 Haile Selassie’s restored government presented evidence to the United Nations that half a million of his subjects fell during Italian rule. Otherwise occupied, the United Nations ignored the matter. Italian perpetrators avoided justice and the Italian public has typically viewed the country’s imperial record as beneficent. 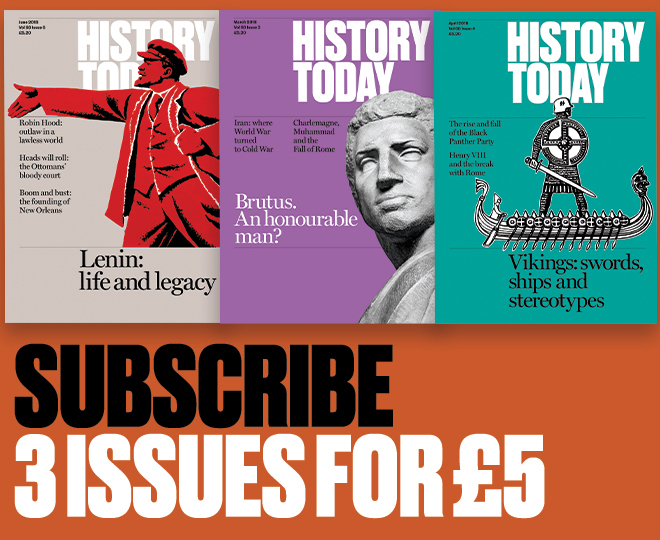 Even now, as established a diplomatic historian as Eugenio Di Rienzo has depicted the war as a European ‘game of empires’, where Anthony Eden was the most committed warmonger. In his book, Il Gioco degli imperi (2016), Rienzo remained ‘even-handed’ about African battles; there, he says, ‘the ferocity of the resistance countered the brutality of the forces of occupation’. It may be that Campbell’s book contains some exaggeration. Although he has worked hard on corroboration, importantly from the British, French and American diplomatic officials stationed in Addis Ababa in February 1937, his book is based heavily on Ethiopian oral testimony, recorded well after the event. The late Richard Pankhurst, in an endorsing preface, is willing to contemplate almost halving the death toll to 10,000. What cannot be written off is the slaughter. Almost 20 years ago, Polish historiography was confronted over its glib assertion of victimhood in the Second World War by Jan Gross’ Neighbours (2000). The Addis Ababa Massacre will shake even more thoroughly the comforting clichés about the Italians always being ‘nice people’. R.J.B. Bosworth’s most recent book is Claretta: Mussolini’s Last Lover (Yale University Press, 2017).